Construction sites are inherently dangerous. 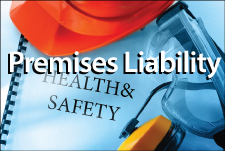 While construction companies and the government put several safety precautions into place, negligence still occurs. This behavior and inattention to detail can be harmful and cause serious injuries to both employees, contractors, subcontractors and passersby.Due to the complex nature of a construction site, the injuries are often catastrophic and sometimes deadly. An experienced attorney can aggressively advocate for your rights and help you obtain the compensation you deserve. Drawing on decades of combined experience, our legal professionals have the necessary tools to help our clients obtain the best outcome possible. We make an investment on behalf of our clients so they can proceed with confidence. We will not charge any fees until or unless we obtain compensation for you. To schedule your free initial consultation with one of our construction accident lawyers in Santa Ana, please email us or call 714-558-1400.